How do I add or delete certain contacts to or from specific groups? 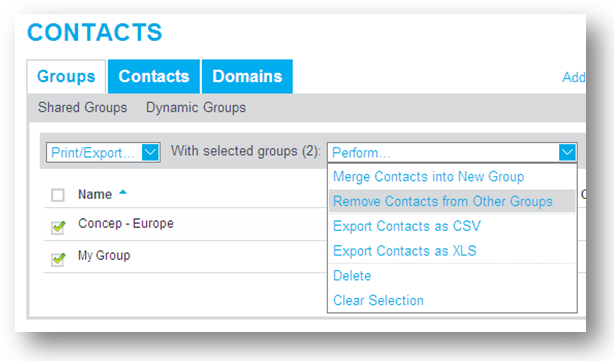 Go to the Perform menu, and select Merge Contacts into New Group or Delete/Remove Contacts from Other Groups. For more advanced queries, you may also want to use the Export or Merge features. How to edit a group? How do I find contacts that are bounced or undeliverable?